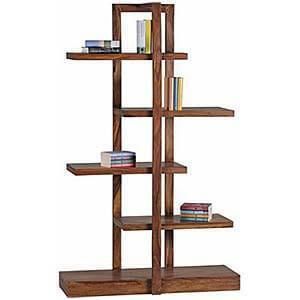 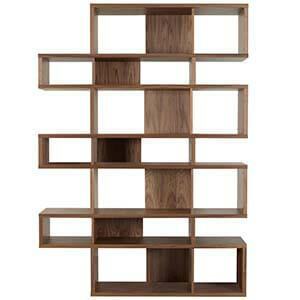 A blend of traditional and modern design elements is what creates this solid wood bookshelf. 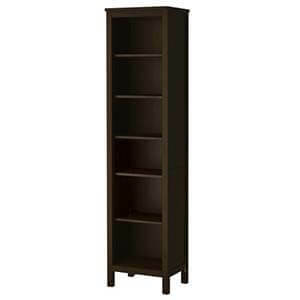 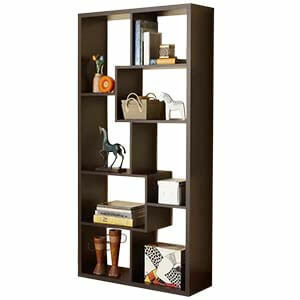 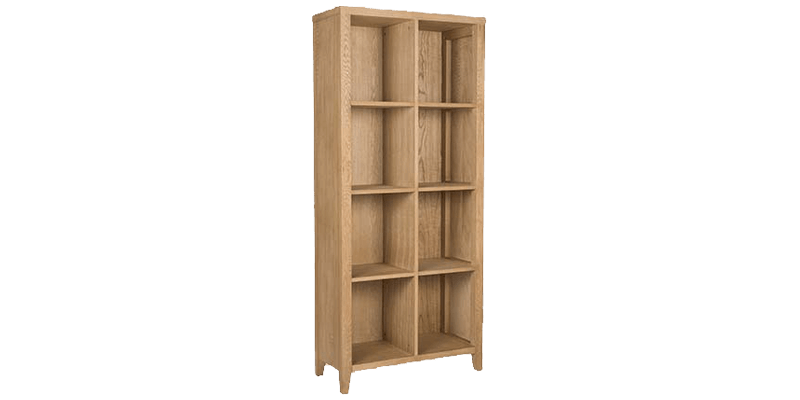 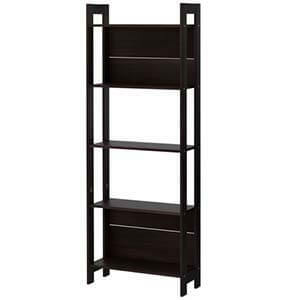 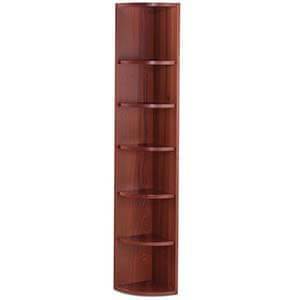 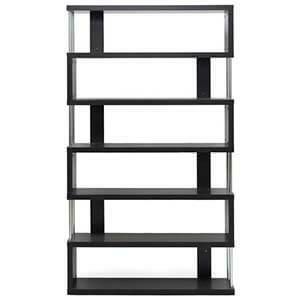 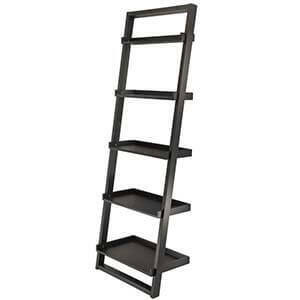 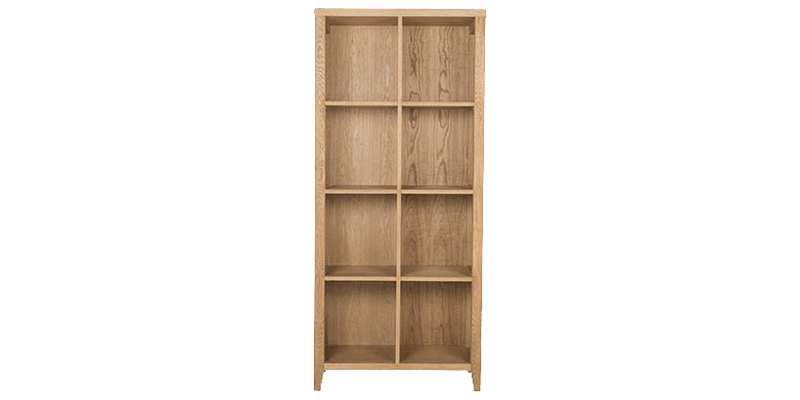 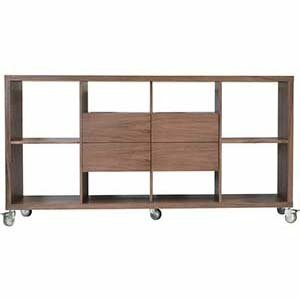 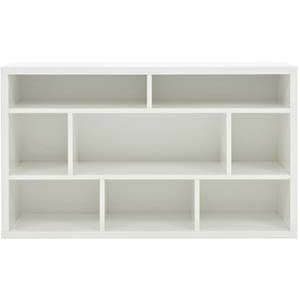 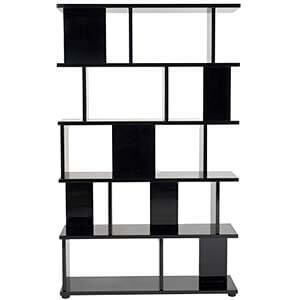 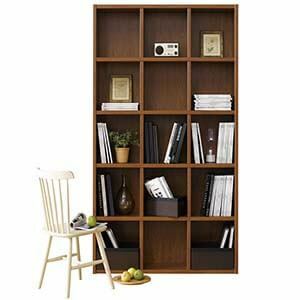 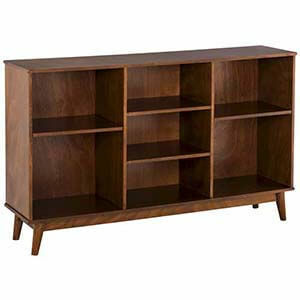 It comes with a sturdy frame, tapered legs and spacious shelves with sections to store things in an organized manner. 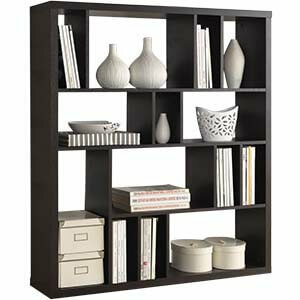 Clean lines that form the transitional style will be a fresh addition to your decor.